Foursquare yesterday announced $45 million in Series E funding from (mostly) existing investors, plus that founding CEO Dennis Crowley would be replaced by chief operating officer Jeff Glueck (Crowley will become the company’s executive chairman). 1. The Series E stock’s liquidation preference is tied to a “qualifying revenue event.” In general, the preference is 1.5x. But, if Foursquare reaches $25 million in gross revenue during a calendar quarter (in accordance w/ GAAP), then the Series E liquidation preference drops to 1x. This suggests both that Foursquare is not yet generating $100 million in annual revenue, and also that management feels it’s a reachable threshold. 2. Per terms of this deal, the Series E holders ($4 per share) get paid back first in a liquidity event. Next comes the Series D folks, who paid $12.89 per share. Then it appears that remaining proceeds would be distributed pro rata among the Series A ($1), Series B ($13.34), Series C ($59.24) and common stock holders. In other words, the preference has disappeared. It also is worth noting, however, that one person I spoke with today is reading it differently, thinking that the new doc actually gives the Series A-C holders more rights. I’m pretty confident in my lying eyes, but will have a post up later this morning at Fortune.com after running it by a few more people. 3. Not included in the Delaware docs is the $41 million in debt it raised two years ago from Silver Lake and existing shareholders like Union Square Ventures (which led the new round). That’s not surprising, as debt isn’t usually disclosed in such filings. My understanding, however, is that the notes remain on Foursquare’s books (i.e., have not been repaid). • Deal data: Venture capitalists disbursed $58.8 billion into U.S.-based companies last year, which is the second-highest number ever recorded by the MoneyTree three of Thomson Reuters, PwC and the National Venture Capital Association. Yup, even higher than the $54.9 billion disbursed in 2009. Strong? Perhaps. Healthy? Not necessarily. Remember, performance for 1999/2000 vintage VC funds was so lousy that it caused a massive industry shakeout, and led to a situation where many brand-name funds were forced to essentially return money they had already raised. Sure, there are a bunch of tech and macroeconomic differences between then and now, but this faith in the virtue of large numbers is unproven (at best). 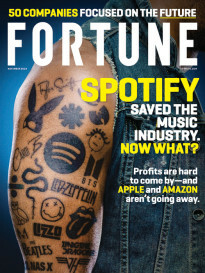 • Keep an eye out: I’ve got a long piece about a fascinating piece of private equity-related litigation, which should be up at Fortune.com within the hour. I’ll be sure to tweet it out @danprimack. • Publishing note: We will be off on Monday, in observance of the Martin Luther King Jr. holiday. Back and boisterous on Tuesday. • Have a Gronktastic long weekend. Go Pats! • General Electric (NYSE: GE) has agreed to sell its home appliances business to China’s Qingdao Haier for $5.4 billion in cash. This comes after GE’s deal to sell the unit for $3.3 billion to Sweden’s Electrolux fell apart last year due to U.S. regulatory concerns. Read more. • CourseHorse, a New York-based online platform for finding and enrolling in classes, has raised $4 million in VC funding from Red Ventures. Read more. • Unmute, a Los Angeles-based open platform where users can host and share interactive phone calls, has raised $2.2 million in seed funding. 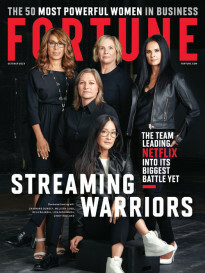 Greycroft Partners led the round, and was joined by Comcast Ventures, Crosscut Ventures, Betaworks, Greylock, former NBA commissioner David Stern and Walking Dead creator Robert Kirkman. • American Apparel has rejected a $300 million takeover bid from Hagan Capital Group, Silver Creek Capital and former CEO Dov Charney. It is unclear if the group will raise its offer for the bankrupt retailer. Read more. • Cubico, a joint infrastructure venture of Canadian pension funds OTPP and PSP and Spanish bank Santander, has acquired a pair of Brazilian wind farms for nearly $500 million. Read more. • EIG Global Energy Partners is taking another stab at buying Canadian-Colombian oil company Pacific Exploration & Production Corp. (TSX: PRE), this time as a distressed debt-for-control rather than a pure equity play. • Centrica PLC (LSE: CAN) is prepping a takeover bid north of €1 billion for Viridian, Northern Ireland’s largest power company which is currently owned by Arcapita, according to the FT. Read more. • American Energy Partners LP, the Oklahoma-based company led by former Chesapeake Energy CEO Aubrey McClendon, has signed a preliminary agreement worth more than $500 million with state-run Argentinian energy firm YPF to explore shale in the Vaca Muerta formation. Read more. • Brown-Forman (NYSE: BF) has agreed to sell its Southern Comfort and Tuaca spirits brands to Metairie, La.-based Sazerac for $543.5 million. Read more. • WebMD (Nasdaq: WBMD) yesterday disputed an FT report is exploring a sale of all of part of the company. Read more. • Saudi Arabia is planning to create a new sovereign wealth fund, according to Reuters. Read more.